"In WIRED, a frighteningly believable story set in the not-too-distant future, technology has achieved its darkest promise, replacing human interactions and genuine experiences with virtual reality. Author Caytlyn Brooke has captured the devastating effects of addiction in a fast-paced, imaginative, and compelling story. WIRED is a scary story about the dangers of addiction, delivering a powerful lesson without feeling didactic. It is a great book for any teen or young adult." "A masterful tale about how easily addiction can take over even the most successful life and destroy it… Ms. Brooke has created a world that is so realistic in its complexity and the character’s motivations, readers will find themselves reconsidering their own social media use. The path from first use to full addict is very realistic in terms of many types of real addictions. The pace, description, and details such as the foreshadowing is so well done readers will not be able to put this book down or forget this story anytime soon." "Wow. This book was really well done. Terrific story about a near future, examining whether we're controlling technology, or it's controlling us." 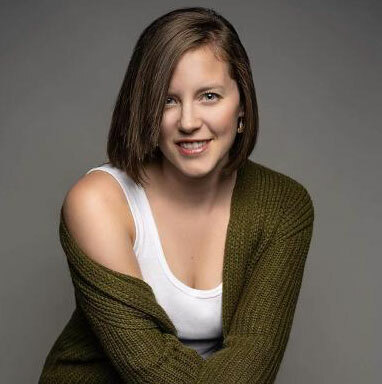 "With a plot line that could be torn from tomorrow's newspaper headlines, "Wired" by Caytlyn Brooke deftly explores in a fictional format what advances in virtual reality technology could well make real as a social and health problem in another decade or so. 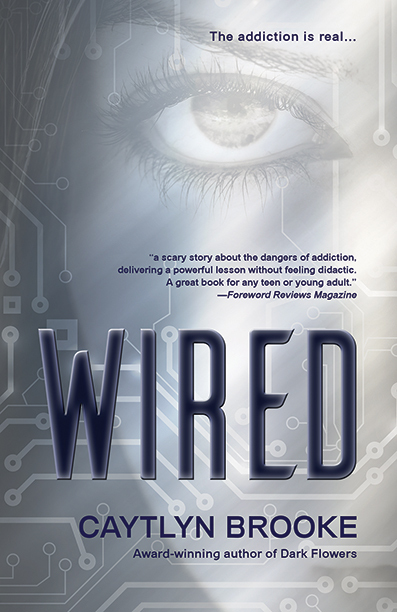 An original and riveting read from cover to cover, "Wired" is unreservedly recommended…"
"…a powerful story that resonates with brutal honesty of tech addictions experienced by so many people today; this book has a powerful message that speaks volumes to YA audiences. Recommended for home and school libraries, Wired has earned the Literary Classics Seal of Approval." "I’d definitely recommend it to people who like plots that include the dangers of modern technology and how it can mess up people’s lives. It’s almost like a modern fairy tale that carries quite a hefty message for people who spend a bit too much time on Facebook, Instagram and Twitter… "
"This is a very powerful read. It gives you a very raw look at addiction, not sugar coating it… This book will make you think." "…a well written and imaginative book that [kept] me flipping pages as fast as I possibly could." "I really loved this book… In my opinion, it really hit the nail on the head as this book dived into the sort of technology that is around us in today's society. It was definitely a page-turning book…"
"I was an emotional wreck by the last page of this book. This was a terrifying look at how easily we can get sucked in and escape from reality. The author doesn’t shy away from addiction and the side effects and that is what made this book a page turner for me."